The legal system in Japan is undergoing substantial change. Associate Professor Leon Wolff argues that for all its faults, these changes represent a shift of power away from elites towards giving the people a say on policy decisions. At least in popular culture, law is the new ‘hero’. It serves as the setting, provides the plot-points and the furnishes characters for Japan’s new millennium of story-telling. But is it possible to extend the show’s metaphor further – to suggest that the Japanese legal system itself is the new ‘hero’ in Japan’s own millennial story? Certainly, the legal system is undergoing historic change. Indeed, most agree that Japan is witnessing its third wave of major law reform. The first wave was during the Meiji Restoration of the mid-nineteenth century, when Japan transplanted slabs of European laws to re-make itself into a modern civil law system. The second was the democratization reforms, including the passage of Japan’s signature peace constitution, during the post-War Occupation period. The third is the ‘people power’ reforms proposed by the Judicial System Reform Council in its 2001 report. strengthening the execution of judgements and expanding the availability of legal remedies. A key driver to the reform agenda was law-led economic recovery. In the opening chapter of its report, for example, the Council describes Japan’s ‘difficult conditions’, especially in the management of the political economy, and the need to restore ‘rich creativity and vitality to this country’. State-based economic planning, the Council urges, must give way to a more participatory market economy built on open and transparent rules. ‘The justice system,’ the Report submits, ‘should be positioned as the ‘final linchpin’ of a series of various reforms concerning restructuring of the shape of our country’. Sadly, in the economic sense, Japanese law has been more of a Clark Kent than a Superman. By 2001, when the Council released its report, Japan’s ‘lost decade’ of economic stagnation was entering its second decade. It is now entering its third. With the 1990s marred by crippling financial crisis, a spate of corporate insolvencies, ongoing scandals in Japan’s premier economic ministries, rising unemployment and low to negative growth, legal re-structuring has failed to deliver economic relief. The economy is sluggish with recurring bouts of recession. Consumer confidence is low. Deflation is endemic. Interest rates are near zero. 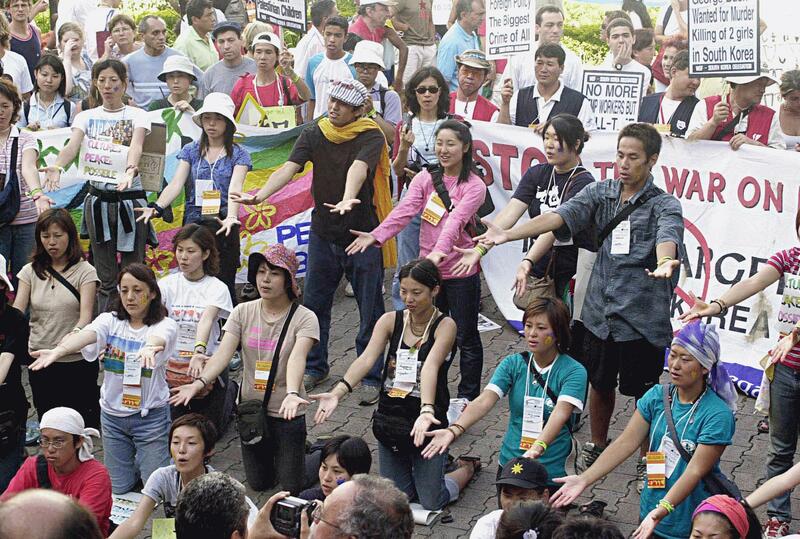 But Japanese law reform has engineered some democratic enhancements to Japan’s polity. For long, scholars — political scientists, economists and comparative lawyers alike — have asked the question: who rules Japan? The most recurring answer has been: ‘Japan, Inc’. This is the idea that Japanese bureaucracies, especially in the powerful economic ministries, have exerted disproportionate policy-making influence over Japan’s economic management and development. With government law-makers and large corporations providing collaborative support, Japanese elites have decided resource allocations and imposed these decisions on economic actors. Japan’s economy was a type of cooperative capitalism. Market forces were less important. Elite management triumphed individual choice. When the elites got it right, as they invariably did in the sixties and seventies, Japan’s economy boomed; when the elites failed to predict problems and handled them poorly once they materialised, such as the credit crunch and the banking sector crisis in the 1990s, Japan went into an economic tailspin. The legal system, in its pre-reform state, enabled Japan, Inc. This is because the Japanese legal system failed to provide firms and individuals with proper channels to challenge informal government policy. A developmentalist ideology — in which bureaucrats are entrusted with responsibility to manage the nation’s development and security — was allowed to prevail unchecked in this absence. Not all agree with this line of analysis. Some, for example, have strongly contended that elite policy-making have never trumped the rule of law, parliamentary democracy and the primacy of market forces. However, at the very least, the Justice System Reform Council’s reform agenda was clearly designed to give the killer-punch to Japan, Inc. After all, the heart of the reform agenda is to invest greater democratic legitimacy in the justice system. The overhaul of legal education and increase in lawyer numbers, for example, was aimed to promote wider access to legal advice, including specialist, globally-relevant commercial advice to Japanese industry. The involvement of ordinary citizens in legal decision-making was designed to improve popular understanding of, and engagement in, the legal system. And the shift from ex ante regulation by public authorities to ex post relief through the judicial system was geared towards embracing a brave, new deregulated world, substituting direct socio-economic ordering for indirect control on freedom of action through enforcement of legal standards. Investment in a robust civil justice system is a self-evident good. Politically, a healthy legal system is essential to defending the rule of law: it secures democratic values of government accountability, freedom and other important public values in increasingly complex societies. Socially, it reinforces shared community standards as well as promoting social change. Economically, it provides the basis for a secure, stable and predictable environment for a modern-day market economy by enforcing bargains, protecting property rights and facilitating different modes of investment. So has law reform ‘heroically’ transformed the Japanese state? Fifteen years into the law reform project is a ripe time to make these assessments. Many have already critically analysed the Council’s recommendations themselves: their strengths, weaknesses, gaps and emphases. Others have investigated the extent to which the recommendations have been translated into legislative action and, in the process, achieved the hoped-for democratic and economic benefits. To be sure, there have been disappointments. Lay participation in criminal trials, for example, have not prompted much-needed procedural reforms to police powers and prosecutorial practices. Graduate law schools, despite a triumphant debut in 2004, have not been the revolution legal educators hoped for. Student interest has steadily declined; some law schools have even closed and others remain at risk. However, a gentle transformation is taking place in Japanese civic life. Judicial decision-making is now more open to lay expertise. Key to this is the 2009 commencement of the ‘saiban-in’ (lay assessor or quasi-jury) system, where members of the public serve alongside professional judges to hear serious criminal cases and determine sentences. A similar trend is the introduction of a new Labour Disputes Tribunal, in which one representative from management and another from the union movement serve alongside a professional judge to hear common workplace-based disputes. In social welfare law, the private ordering of contracts is inter-mixing with the regulatory reach of public laws. Public comment is exerting some influence on how the state deals with issues of public importance. Litigation rates are beginning to rise. Japanese law might be an imperfect hero. It has failed to resurrect Japan’s lifeless economy. And not all of its promised reforms have generated satisfying outcomes. But its democratic project of handing the reigns over public policy from powerful elites into the hands of the people is a notable work-in-progress. And, with new reforms about to be written, it lives to fight another day. 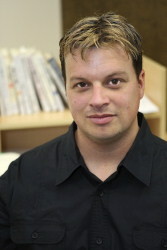 Leon Wolff is Associate Professor at the Faculty of Law, Bond University. He is the co-editor of Who Rules Japan? Popular Participation in the Japanese Legal Process, published by Edward Elgar. academic law, Hero, Japan, Japanese legal system, judicial reform, law, Leon Wolff, Who Rules Japan?